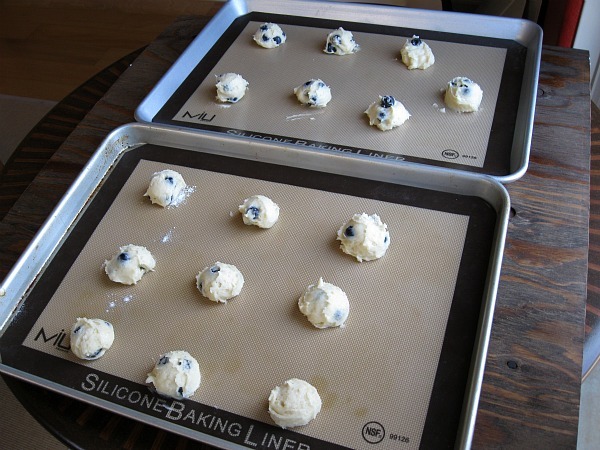 Scoop balls of cookie dough onto parchment paper or a silicone baking mat. To scoop the dough, I used a cookie dough scooper. Handy tool if your making cookies, eh? 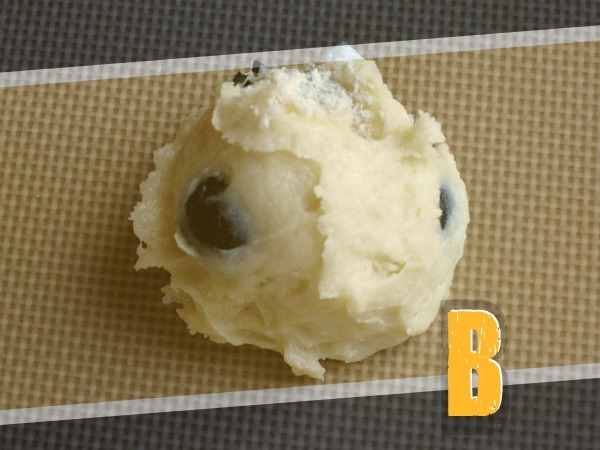 This is what a scooped ball of cookie dough should look like. ( Don’t forget to taste the cookie dough!) Go Bruins! All baked and ready for cooling. Mmmm! My mouth is watering. Some of the blueberries will seep out the side but don’t worry! It’s completely normal. Well, I tried the cookies plain like this and they needed something extra. So I made a…. Lemon Drizzle. 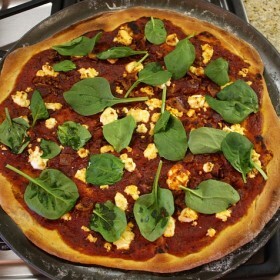 This pepped up the recipe to perfection and I loved this drizzle. If these cookies were graded by a middle school math teacher, they would probably receive an A+. The cookies are a caky kind of cookie and not one of those hard, crunchy cookies. It almost tastes like a puffed up blueberry pancake instead of a cookie. I think that any blueberry fan will love this cookie because I bet that they’ve never tried a blueberry cookie. And even a kid can make it…. Like me! 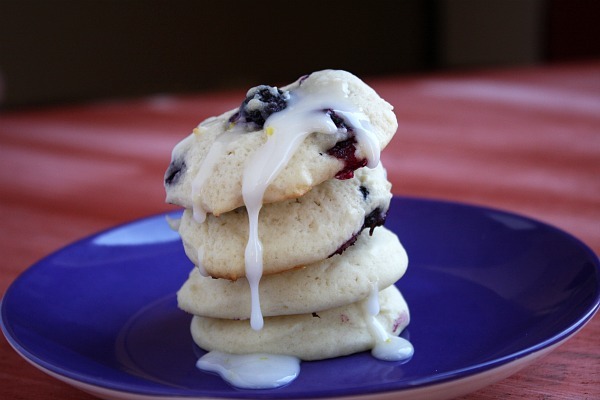 Puffy little lemon-flavored cookies with fresh blueberries inside. 2. Cream butter and sugar in large bowl with an electric mixer. Beat in egg and lemon extract. 3. Gradually add flour, alternating with milk addition. 4. 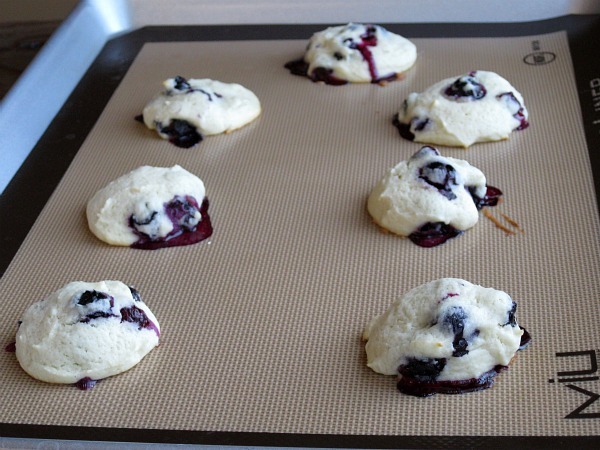 Carefully stir in blueberries and drop batter 1 1/2-inches apart on greased cookie sheet, silpat-mat or parchment lined baking sheet. I used a cookie dough scoop. 6. Let the cookies cool completely. Mix powdered sugar and lemon juice in a small bowl and then drizzle each cookie with a little bit of the lemon glaze. The glaze will set when it has a chance to dry. These sound delicious…and what great photos!!! Cannot wait to make these cookies. In fact, since you reminded me, Recipe Boy, I will check out my local you-pick-em blueberry farms, and make it a blueberry field trip, resulting in cookies. I am a cakey-kind-of-cookie person myself, crispy is for chips and crackers to me; and the next to last photo of cookie-tower makes me so happy. looks yummy ! thanks for the recipe ! Dude! You Rock!! Those look amazing =) Bet you went through some serious milk eating that batch of cookies. I just started my own blog too and wish it was half as cool as yours!! Keep up the great work buddy!! And you like cantaloupe, you’re seriously COOL!!!! I just have to say how impressed I am with 1. your blog 2. your food and 3. your photos – well done my dear!! I also happen to LOVE blueberries so this cookie has my name written all over it! Thanks for sharing and excited to see what’s next! 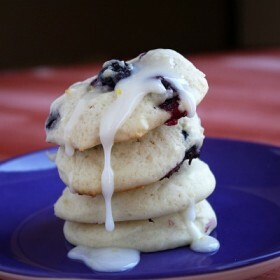 I love the sound (and look) of these blueberry cookies – especially with the lemon drizzle!! I’m not a middle school math teacher, but I do teach at a Massachusetts high school (GO BRUINS!) and I would definitely give these an A+ :). these are a fabulous idea! i just made lemon blueberry muffins yesterday, and i already feel like i need to make these too. thanks for the great recipe! Great looking cookies! Go Bruins! O MY CUPCAKES!!! i made these cookies, but did not do the goo thing, looks simply teriffic, and wow, next time, the icing for me, and them, and all our friends. Where I live the country club is going to have a bake off, and for the first time ever, go figure, having a junior baking contest, 11 and under, now that is what I am talking about, or future Recipe Boys, and Gurls. Oh yeh, 4got to mention the bestest ever part of these glorious clouds, the bluberries, when they burst into your mouth, you are already scoping out the next one, and I resorted to eating all the blueberries out of the cookies, and got in trouble from my daughter, Aspen, and now I have to make more, and the icing now. thanks, redraven. I am a huge cookie fan and these look superb! Great photos too! At first I was thinking “uh, blueberry cookies? gross.” But then I saw the finished product and totally changed my mind. I love that they’re cake-like, too. Love super soft cookies! Ooh, love the combination of blueberry and lemon. I’m sure I’ll be trying this soon. Looks great! We’d love for you to share with us at dishfolio.com! Delicious! Although I might use a bit less flour next time. I used some lemon zest and maybe a half a tablespoon of lemon juice instead of the extract because I didn’t have any, and the recipe still tasted great. 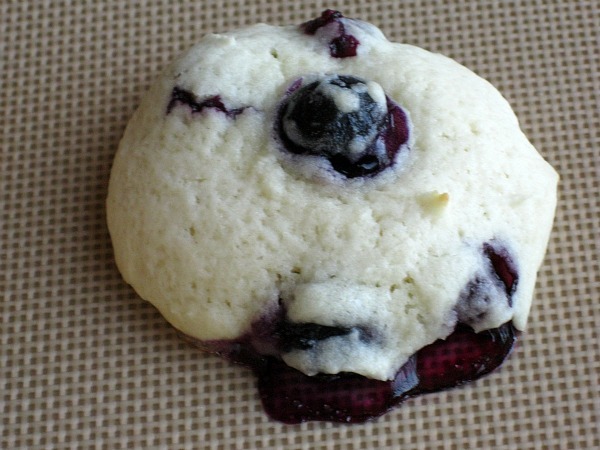 Fresh blueberries in a cookie? YES PLEASE!! Big blueberry lover here, actually a house full of them 🙂 My family will love these! Your doing a great job recipe boy! Keep up the good work! 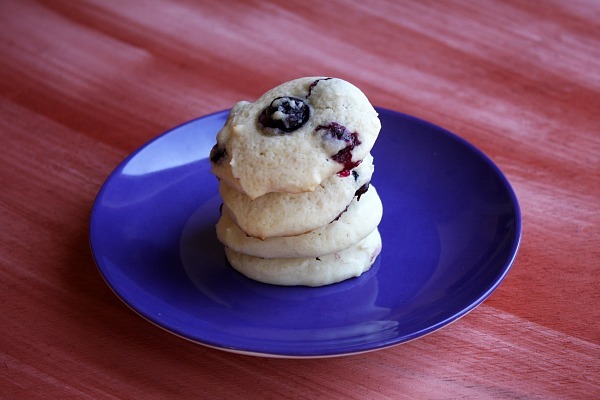 Three things: Blueberries are my favorite fruit (and they look delicious in these cookies), I love the glaze, and I have those same MIU silicone mats- they work great! Hey Brooks- Can’t wait for you to get back from camp and cook up something yummy!! Loved the Blueberry Cookies with Lemon Drizzle- Even Carli loved them!! These cookies look like they would be a hit! Almost healthy enough for breakfast… right?!?! Enjoying your new blog — I’m a new follower. These cookies look awesome. I’m so excited I discovered your blog! These look delicious…and that lemon drizzle?! YUM!! Ooh, these look delicious! I love blueberries AND cookies, so I imagine that these would be wonderful! These look like muffin tops! Ohhhh man, I’m going to make these as soon as I can. I wish I had been as cultured as you are at the ripe age of 10. Keep on rockin’ it! 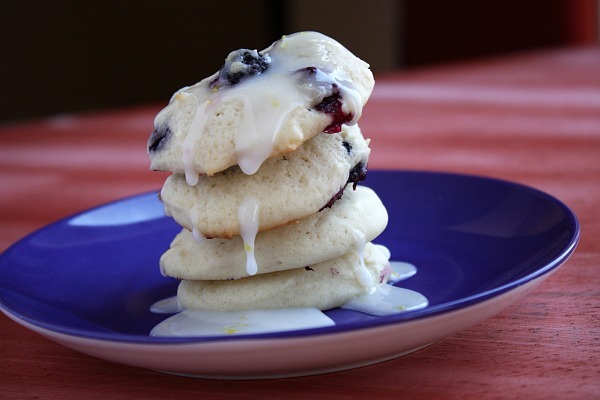 These look awfully good and I bet the lemon and blueberry mix makes it extra yummy. Photos are awesome. Love your drizzles and you too! 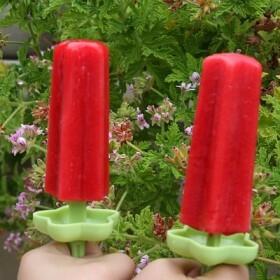 These look so tasty!!! And variations are just running through my head now, orange and cranberry, lime and raspberry, I’ll have to try these with blueberries and then some of my other ideas! Great blog you have here! Recipe boy these look amazing! Great photos! Made these cookies last night for my dad’s birthday present. (He LOVES blueberries!) Well, it did make THREE dozen, but he got only two dozen after taste testing. And now, I’ve delivered them and he keeps catching me sneaking HIS gift. I am a chocoholic, so I am very surprised that this is my new favorite cookie! Thanks for a yummy AND simple recipe! I made these today. They were so delicious! Thanks for the recipe. Just made these cookies. Looks exactly as the picture, mouth watering and pretty! Really good, but the glaze doesn’t really make a difference. Awesome recipe! Already ate 5. Brooks, you still have a winner here–3 years after you posted this recipe. I made these today to take to a pot luck and added white chocolate chips. I asked my husband to be my tester, and he said these were beyond terrific and among my best ever (and I make a lot of cookies! ). Then he commented that he should have said they were terrible so I would leave them all at home for him. I’ll have to second what Marlene said. This is still my go-to blueberry cookie recipe and is a huge hit every time I make it. 🙂 Thanks!